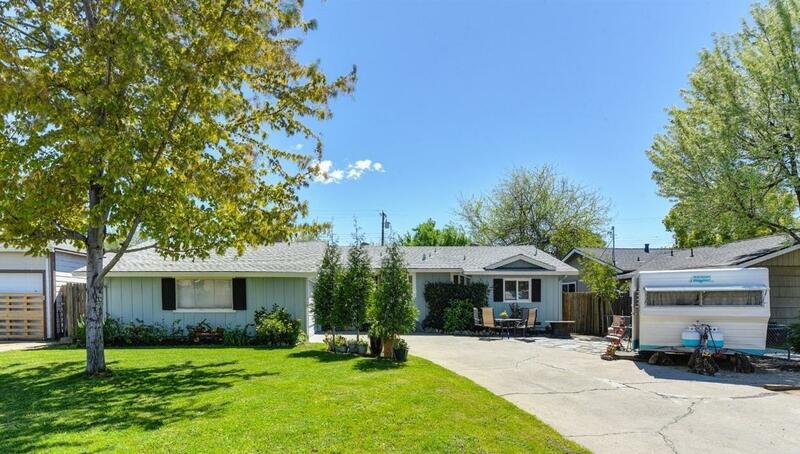 Adorable Cottage/Bungalow home in the desirable Roseville neighborhood of Hillcrest, just steps from Garbolino Park! This updated 3 bedroom, 2 bath home has an expansive backyard complete with 10 fruit trees, lawn and a covered porch. Upgrades inside include granite counters, travertine flooring, fresh paint and stainless steel appliances in the kitchen. The family room is light and cheery and is open to the dining bar and kitchen. The dining room is a great place to gather and is large enough to accommodate family and friends. The 2-car garage has plenty of storage. Close to all the amenities, shopping and great schools!